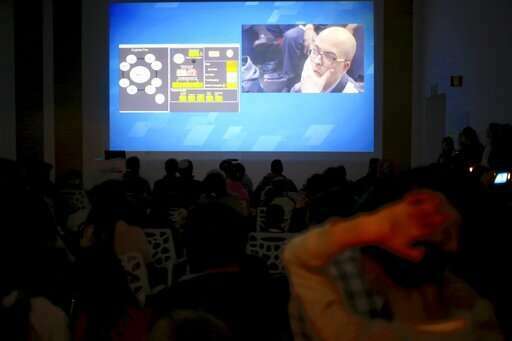 The team behind the Israeli spacecraft that crashed into the moon moments before touchdown was working Friday to try and piece together what derailed the ambitious mission, which sought to make history as the first privately funded lunar landing. 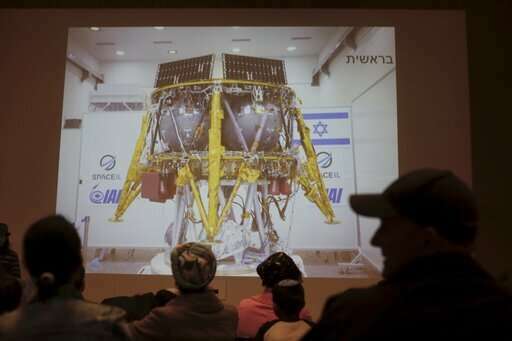 SpaceIL, the start-up that worked for over eight years to get the spacecraft off the ground, revealed that a technical glitch triggered a "chain of events" that caused the spacecraft's engine to malfunction Thursday just 14 kilometers (8.7 miles) above the moon, making it "impossible to stop the spacecraft's velocity." The main engine managed to restart soon after, but it was too late: the lander was on a collision course with the moon at 500 kilometers (310.7 miles) per hour. Radio signals from the spacecraft flat-lined as the scheduled touchdown time came and went, leading engineers to assume that the small spacecraft was scattered in pieces after slamming into the landing site. The crew said it would conduct comprehensive tests next week to better understand what happened. Had the mission succeeded, it would have made Israel the fourth nation to pull off a lunar landing—a feat only accomplished by the national space agencies of the U.S., Russia and China. The failure was a disappointing end to a lunar voyage of 6.5 million kilometers (4 million miles), almost unprecedented in length and designed to conserve fuel and reduce price. The spacecraft hitched a ride on a SpaceX rocket launched from Florida in February. For the past two months, the lander, dubbed Beresheet, Hebrew for "In the Beginning," traveled around the Earth several times before entering lunar orbit—a first for a privately funded lander. Israel can count itself among seven nations that have successfully orbited the moon. Although the crash dashed the hopes of engineers and enthusiasts around the world that had been rooting for the scrappy spacecraft's safe arrival, the team emphasized that the mission was still a success for reaching the moon and coming so close to landing successfully. Beresheet was about the size of a washing machine. It cost $100 million—more than the entrepreneurs had hoped to spend, but far less than a government-funded spacecraft. 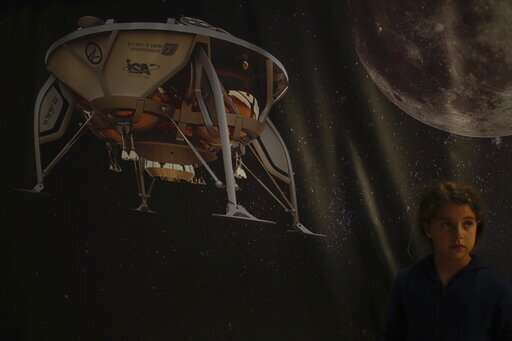 After getting its start in the Google Lunar XPrize Competition, which ultimately ended last year without a winner, Beresheet's lunar voyage gained momentum over the years, coming to be seen as test of Israel's technological prowess and potential key to global respect. "Israel made it to the moon, and Beresheet's journey hasn't ended," said Israeli billionaire Morris Kahn, one of the project's major sponsors. "I expect Israel's next generation to complete the mission for us." Aside from a number of satellites claimed to be for communications and environmental monitoring, but many of which may have been for spying, Israel has had no real success and some tragedy reported with its space attempts. Their first documented astronaut, Ilan Ramon, was on the only space shuttle mission listed as being destroyed on re-entry. Could there be a force beyond what the "press" acknowledges that wants to keep Israel out of space on a major scale? Could things like the Columbia incident and the supposed failed landing of the moon probe, or "moon probe", really be attempted deceptions of the public? Could Columbia still be in orbit and the "moon lander" be intact, carrying out secret operations? Yeah, drunken godlings interfering with Human progress. & all those vehicle accidents. & aircraft crashes. People sure are stubborn & keep trying to improve their creations even better, every year. Pity that the drunken godlings keep failing to create any sort of improvement for julipeed! Cause we have gone off this cliff before! Did anyone, remember to double-triple-check, with all the confusion of prepping for launch? Coordinating all the technicians & engineers agree to use the SAME system of measurements? & I mean actually, physically communicated that desire to everyone involved? Did everyone sign off on the inclusion? Wasn't home sick while a buddy signed for him? Would you care to wager on it? I'm already laughing at the curdled expression on your purpled face! Could there be a force beyond what the "press" acknowledges that wants to keep Israel out of space on a major scale? Could things like the Columbia incident and the supposed failed landing of the moon probe, or "moon probe", really be attempted deceptions of the public? Could Columbia still be in orbit and the "moon lander" be intact, carrying out secret operations? Wow. You're still pissed about them killing jesus arent you julian? But since religions are all variations on one vast conspiracy theory, I can understand your musings. Correct me if I am wrong but execution by crucifixion was a Roman playtoy? Religious Jews would have executed by stoning?